The player I listed in August at #7. It's likely at my season ending draft ranking, I will drop Ritchie a spot or two but it has more to do with the other players rising then him falling. Ritchie is a power forward with an impressive mix of size, skill and strength. He skates well for a big player and has agile feet. He bulls his way around the ice and has an impressive but erratic shot. 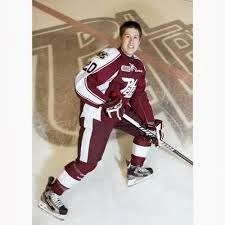 His dominating presence has been the key to the Petes offense. He has Elite puck protection & great offensive tools One scout was was quoted “Conditioning is a question. He’s too heavy. His skating would be better if he wasn’t dragging around that amount of weight. And if he was in better shape, he might not be taking shifts off, which he does." Ritchie was a former #2 pick in the 2011 OHL Priority Selection. Appears to have put some injury woes from a season ago behind him. The big winger will have NHL teams salivating with a 6-foot-3, 236 pound frame, and speed to burn. Despite his size, Ritchie has the explosiveness to take most defenseman wide but also shows an ability to mix up his attack by cutting in and driving the net. So what's holding his game back? Ritchie can be a mixed bag as you never know what you're going to get out of him on any given night. If the soon to be 18-year-old can find some consistency, it could help push him into the top three. While he would be a great fit on the Oilers its highly unlikely they will take him with a Top 5 draft position. Should he be around the 10 draft slot they may consider trading a player for that opportunity. Health is a question, too. He missed a lot of games last year with a bum shoulder. That’s a concern, especially with the game he plays. Where do the Oilers go from here? 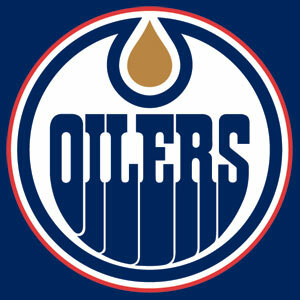 The Edmonton Oilers season has gone down the toilet in a big way and we are looking at one of, if not the worst season record in the history of the organization. There is no way to spin this thing and nothing I can say here will change. This city (Edmonton) and Oilers fans worldwide have found places to cast blame and some seem like good possibilities but many of those places they are looking to cast blame I do not believe are the reason for the poor results on the ice. Let's walk through some of the possibilities that are ailing the Edmonton Oilers and possible solutions that could be made to see improvement this year and the year's to follow. How can we blame MacT for this? Because he hired Eakins is the reason we have tanked? Maybe, but since very little growth occurred with the other coaches I highly doubt it would have added more then another 5 wins in the old win column. In fact MacT has not even been in his job a year and took over a disaster of a rebuild. Sure he has made some errors as fans like to point out, but if we are all honest, the current state of affairs of this team is not MacT. He doesn't have much time to stand pat that is for sure. He has to make at least 2 big moves still to even see the Oilers become a playoff team IMO. MacT, Quinn, Renney, Kruger and now Eakins and we think this all falls on Eakins. I did not like what i thought sounded like arrogance when he first came in but in recent interviews he sounds a little more humbled and I for one, don't see changing head coaches as a way of improving. It's a decision that needs to be followed through for 2 full seasons. I like both as people and as players in their day but don't see how they add more then another assistant coach would who is real good at their job and come with a top end resume. Could it be they have been trained by bad mentoring? It's time to move on here and hire someone with a proven track record who has had success at their level of coaching. Has been and continues to be a problem for a long time. It's time the Oilers get a goalie who can steal a game every 10-12 games. Someone who can have a Save % of at least .915 and not let in soft goals at times when they break the back of the team's momentum. A clutch save at the right time is more important then just a save. btw…contrary to most people's thoughts with goalies, there is no goalie who we can get (or afford) that is on top of the world when we get him. You need to take a chance on a Goalie who may need to re-establish himself sometimes. As upset as some may be here, you can't bring in elite talent without paying through the ceiling with your young forwards who are considered untouchable to Oiler fans. The future is shaping up well and defencemen always take time to develop. My preference is still to get Ekblad in the draft and let him get 1 extra year in jr before bringing him up. In the meantime Klefbom has more time to develop (he will come around IMO) Marincin and Gernat in the minors and let's not forget Nurse. While I agree we need to get bigger and or tougher, what does that mean? Ever watch Crosby? What about Nathan MacKinnon this year? Some of you Oiler fans really like Perron's game. I could walk through at least 15 other NHL players easily who are tough to play against yet they are not extremely tall or over 200 lbs. So what does bigger or tougher mean? Is it height or weight? I think what people mean is they can protect the puck, not get tossed around when they get hit and can win the battles in the corners coming out with the puck on most occasions. My preference would be to draft in order if they are available when the Oilers step up to the podium, Ekblad, Reinhart or Sam Bennett. Should the Oilers draft out of the top 3 then Drasaitl would be next. It's likely we will be drafting top 3 in June. Drafting one of the other of Reinhart 1st or Bennett allows us to draft for a 2nd line center for the future as well. Don't be deceived, Reinhart will not be pushed around at 6'1 even though he is 185 lbs about. He would be a perfect fit IMO on that second line but i would send him back to jr for 1 more year before bringing him in full-time even though I believe he will be ready this next year. I absolutely do not personally want to send him packing but something tells me his game will not fit what the Oilers are building. The trade with a top quality prospect and or pick for a top end defencemen or big center who can fill in the #2 line spot. I realize some may think his value is low but it's just a sophomore jinx some may say. Most the other players taken high in his draft year are not faring much better and it is rumoured that many GM's actually believe that Edmonton does not handle their development well with some of their players. His value is high out there on the market and this summer will be a good time to explore what the options are. This will not be easy but let's hope the Oilers can somehow convince someone who hits the market July 1st that coming to Edmonton will be where they can excel. Until this can happen the Oilers will always muddle around in the middle of the pack at best. We are stock piling some d-men and eventually something will have to break. The Oilers can land a few different defencemen as a possibility but truth is a player in the ability of a Petry can be had it will mean the Oilers will have to give something good up (other then their 1st round draft pick or Nurse). Taylor Hall / Ryan Nugent-Hopkins / David Perron / Darnell Nurse / Justin Schultz / Jeff Petry. Everyone else is available for the right deal if it means we improve the team. I love many of the other players as well but you will have to pay a high price if you want to bring in a franchise type player who can take this team over that bump in the road. I know many of you will have varying opinions on this. Shoot away at your suggestions or thoughts. It's all subjective anyway but nothing wrong with voicing our thoughts or idea's or opinions. What's your thought's? You see things different or are you thinking along the same lines? What about Oilers management? What do you think they are actually going to do? The player I listed in August at #6. Traded to the Spirit from the Battalion a few games into this season Blake is now playing with the Saginaw Spirit of the OHL, Blake has really taken a back seat to his game. His offence was expected to go up but the exact opposite has happened. Clarke plays a pretty solid hard north-south game in the power forward mold. Has high skill and compete level mixed with a strong shot shot and a willingness to battle anywhere on the ice. Blake has still greater potential scouts are saying to play with even more grit and needs to work on consistency more then anything. He definitely knows how to use his strong built frame to knock others off the puck when battling in the corners. In my year end rankings unless Blake has a incredibly big turn around his ranking will drop drastically but will likely still make that Top 15. While Blake does play a role similar to the power forward role the Oilers could use, there are far too many players in his mild with higher end skill and even grit and speed at the higher order of the top 5 where they are likely to pick. Chances are slim we see the Oilers call out Blake's name at the draft in June 2014. The Edmonton Oilers traded Ryan Martindale and winger Derek Nesbit, to the Florida Panthers in exchange for centre Steve Pinizzotto and Winger Jack Combs. This trade is another minor trade most likely more for the farm than the big team. Since December 14th this is the 5th trade the Oilers have made. All I can really say is at least MacT is tying somewhat to get this team to improve, I mean not a big deal today, but still we hated Steve Tambellini for not making trades at least MacT is trying. The player I listed in August at #5. Jake is a player who does not mind getting his nose dirty and has the size and strength to back it up. He thinks the game with a above average hockey IQ and has slick hands as some scouts have said. Has a dynamic shot that can catch goalies unexpectedly but even better is his strong stride with the combination of size , skill and speed. Jake can be rather dominating at times on the ice. Is in the mold of a power forward but like many others before him (including the NHL) can get a bad rap that they are not working hard enough at various times. If the Oilers were to have a shot at Jake (as of right now in the NHL standings the Oilers are sitting 29th) he easily could be that power forward with a blend of size, grit, speed and skill this team has longed for. 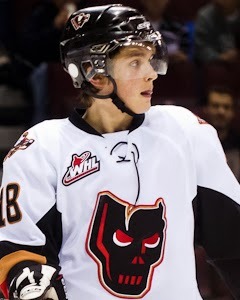 I have heard rumblings that Jake is a player the Oilers are very interested in and are watching him closely. It will all depend on where they finish the season in their draft ranking order. 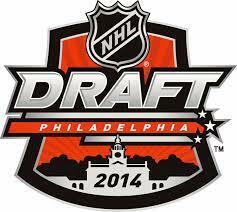 Should the Oilers pick anywhere other then top 3, Jake could be their likely pick. His season has started to slow down boxcars wise but is a player nonetheless that they do not have coming up in the system. The player I listed in August at #4. One writer says "Total package on the blueline; IQ on both sides of puck. Impressive +16 in 11 GP in Oct". That's pretty bold words on this young man. Is a solid plus player and while can push the puck up the ice offensively he can provide a shutdown presence on the blue line that has some teams anticipating this draft rather eagerly. Has proven to be a good leader in the jr ranks. Has won some nice trophies to brag about. Won a U18 championship, Ivan Hlinka Gold medal, made all-rookie team. Has outstanding skating skills and can skate east/west or north/south with relative ease. His top end acceleration and speed make him a difficult player to stop at top speed coming into the offensive zone. Can execute crisp one time passes well but most often likes to lead the rush with his puck on the stick. A extremely smart defender with good positioning and good instincts. Should the Oilers make a push up in the standings in the later half they stand a good chance of landing a player like Roland who could only be another solid player brought into the stable for the future years ahead. Not exactly what Edmonton fans want to hear ( future) but Roland could be a top end 2 d-man , likely will settle more into a 3-4 d-man role if he continues this trend in a upward arrow. The player I listed in August at #3. At 5'10, 170 lbs, William is a rather smaller player of size and will likely have a difficult time adjusting his game at the NHL pro level. Craig Button in late September quoted the following... "William exudes confidence when he plays. Exceptional poise with the puck and is always looking to make threatening plays in the offensive zone. 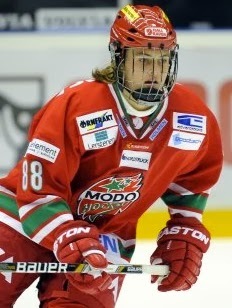 Excellent skater who is very difficult to check because of his agility and because he is always changing pace. Can make pinpoint passes in traffic and if you are his line mate, best be ready, as he will provide opportunities. Top line type player." Will be interesting to see if he can pick up his game in the second half. With 18 Games played and only 4 Goals and 4 Assists for 8 Points in the swedish jr league, William is likely to drop quite far back unless he can suddenly start putting up some points. He currently has played 10 games with 2 assists only in the SHL and that has got some scouts really concerned. Currently in my rankings , I have droped Nylander to the bottom double digits. Another scout has stated "He still needs some time to transition to the pro game to learn that he won't have as much time as he once did, but Nylander's offensive upside will be worth waiting for." If he lacks scoring at this level, he isn't bringing much to the table anymore and this could see him drop back some spots from the beginning of the season. Oilers Jambalaya is in no way, shape or form associated with the Edmonton Oilers. This is a fans blog for fans. We happen to love those teams, so we write about them. Thank You For Reading Oilers Jambalaya! Oilers Jambalaya Copyright 2008-2017. All Rights Reserved. Travel theme. Powered by Blogger.